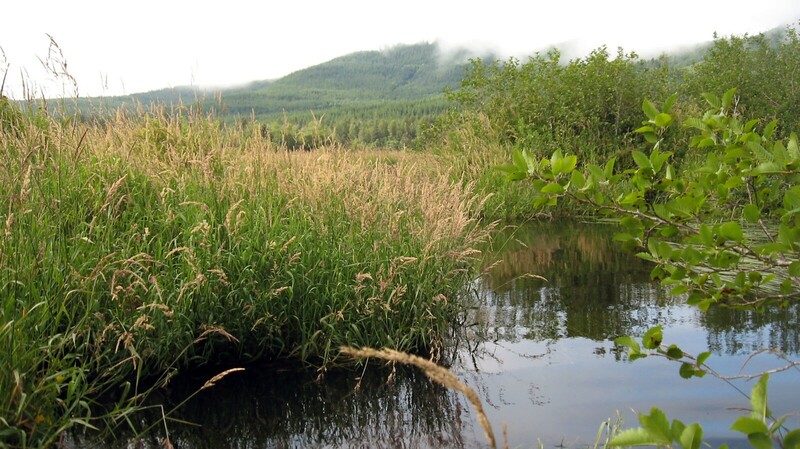 40 acres of wetland habitat surrounding Goldsborough Creek, west of Shelton in Mason County. The Rose-Goldsborough Creek Preserve contains 2,000 feet of Goldsborough Creek, which provides quality spawning and rearing habitat for coho, steehead, and cutthroat trout. Other than the creek, the property consists almost entirely of wetland habitat: from forested and scrub-shrub in the northern part of the property to emergent grass wetlands in the southern part of the property. The property is used by waterfowl, songbirds, beaver, deer, black bear, and amphibians. Capitol Land Trust is now the owner of this 40-acre river-wetland complex containing high quality habitat on Goldsborough Creek, a stream of regional importance in South Puget Sound for salmon production. The property, located just below the confluence of the north and south forks, provides quality summer rearing habitat for coho, steelhead and cutthroat in a 2,000-foot channel of deep, cool, slow-moving stream with overhanging vegetation. Removal of the Goldsborough Creek dam in 2001 resulted in increased use of habitat in the upper watershed by coho salmon. This project adds to 20 acres of similar habitat already conserved by the Land Trust ¼ mile upstream on the south fork (the Pannell-Goldsborough Creek Wetland Preserve).